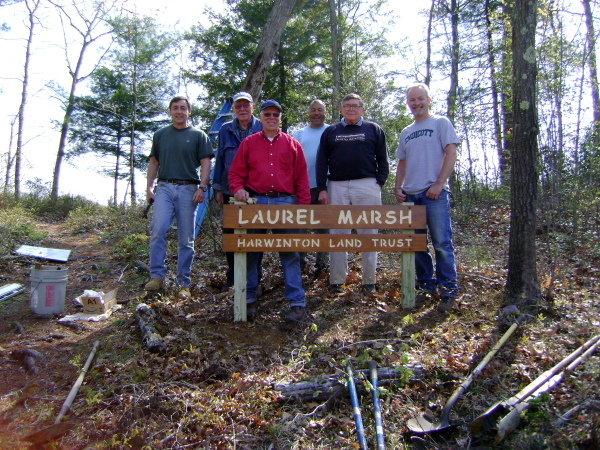 The Harwinton Land Trust runs on volunteers. All six of Harwinton Land Trust’s properties require some level of stewardship. 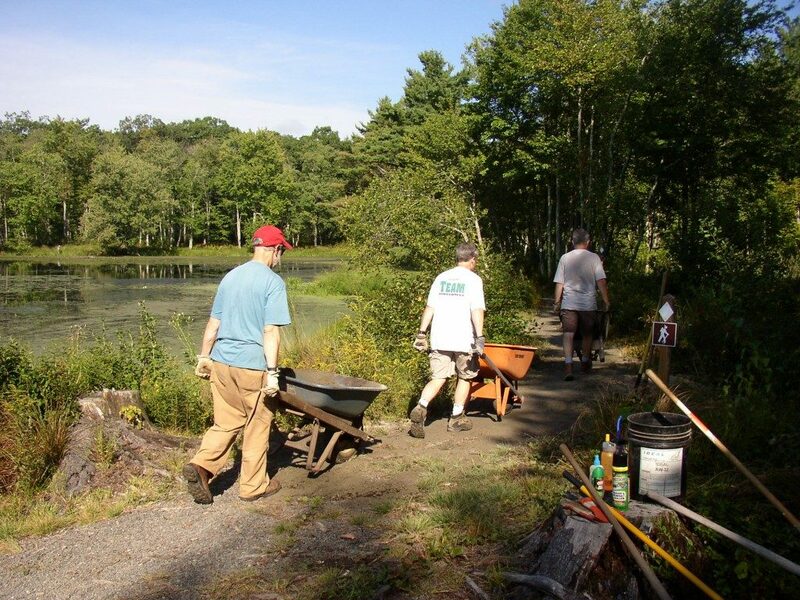 Whether simply picking up roadside litter at its smallest property (High Meadow), or creating an extensive trail system at Bull Pond, long boardwalks at Meadowview, or a tree identification walk at Forever Forest, all maintenance and improvements are done solely by land trust volunteers. 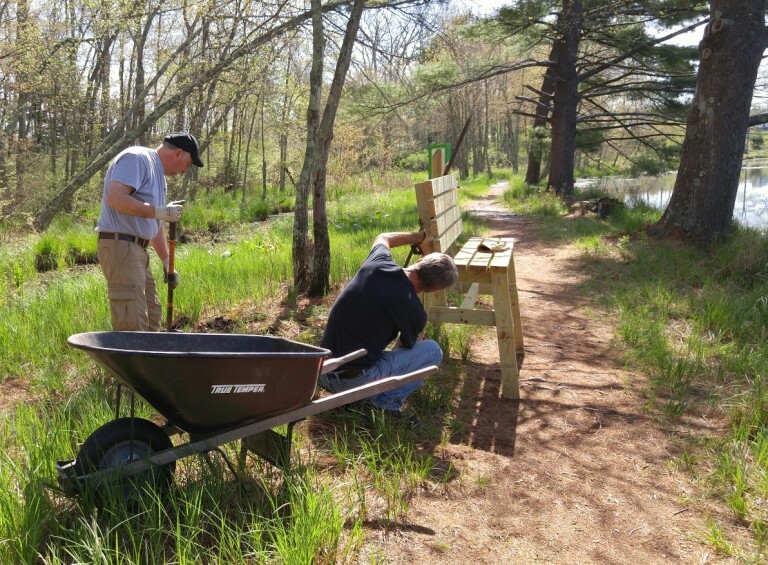 Our volunteers take great pride in the work they do, and they exemplify the strong volunteer ethic of our town. 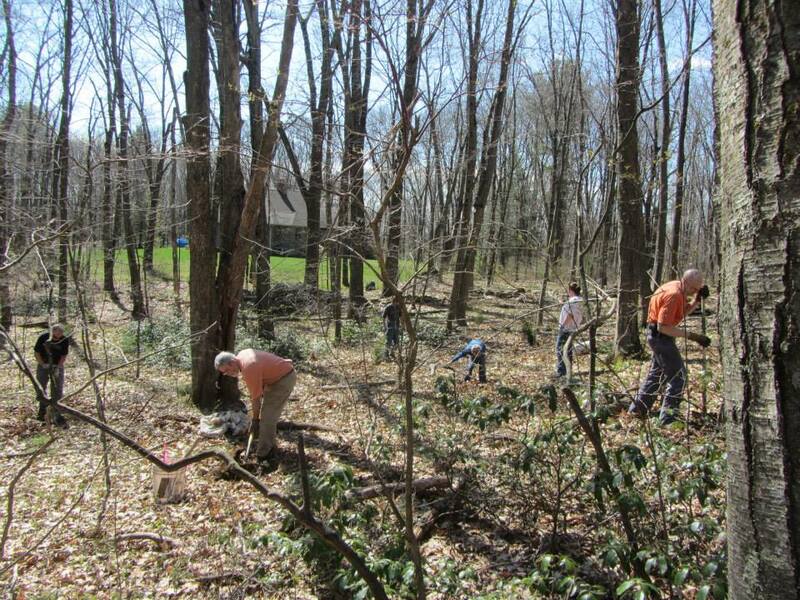 General maintenance of our properties can often just require a few volunteers getting together to brush cut an area or to clear a trail of a fallen tree. 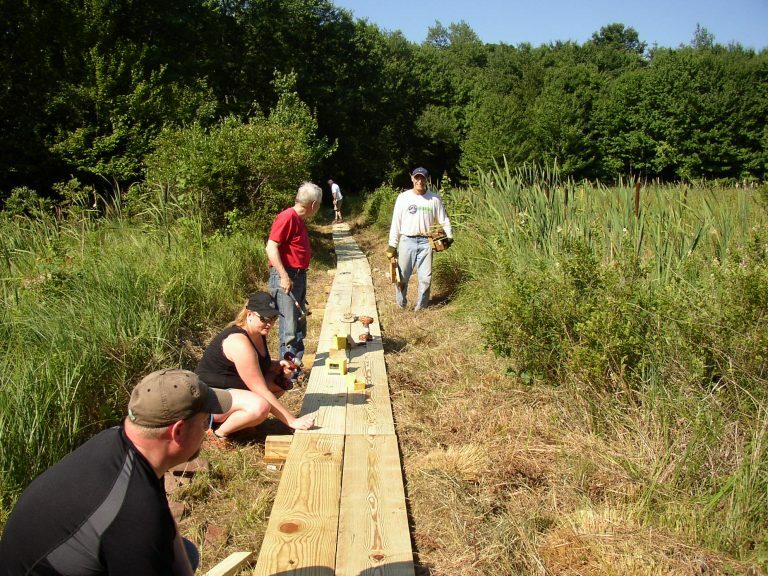 For major improvements, the trust plans several work parties each year in which larger groups of volunteers take part. We’re of the belief that many hands make light work. Each year requires about 500 hours of on-site work to maintain and enhance our properties, but individual workloads are light since many people take part. We hope you’ll also consider volunteering some of your time. 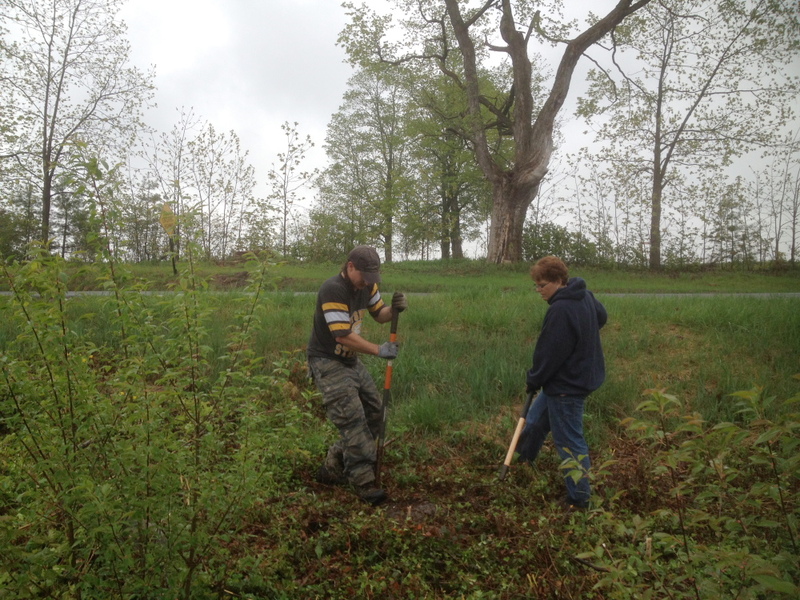 If interested, please email us at info@harwintonlandtrust.org and we’ll include you in our list of volunteers. We can then contact you with details when work parties are planned. Work parties are great; you’ll get to make new friends and will come away with a good sense of pride. 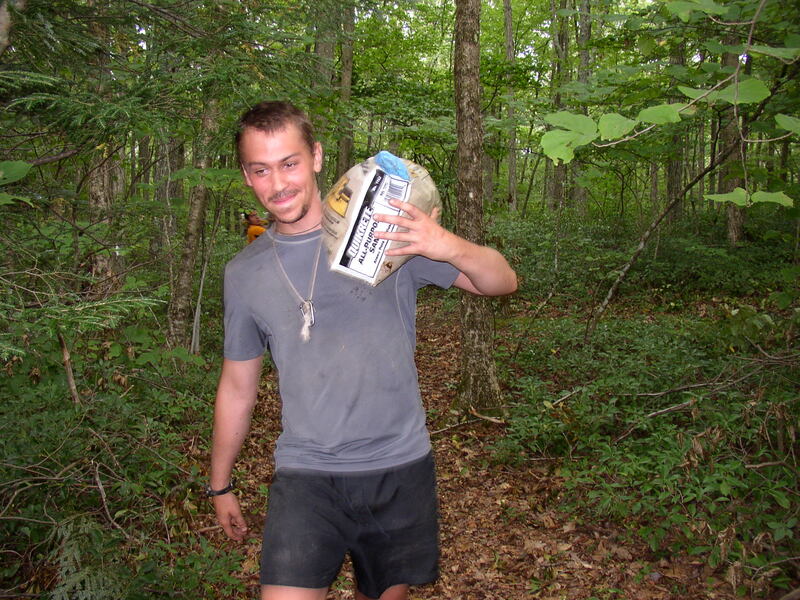 Our work parties are set up so that everyone has a job and can contribute, especially the young and the “well-matured”. We enjoy watching young kids help their parents. 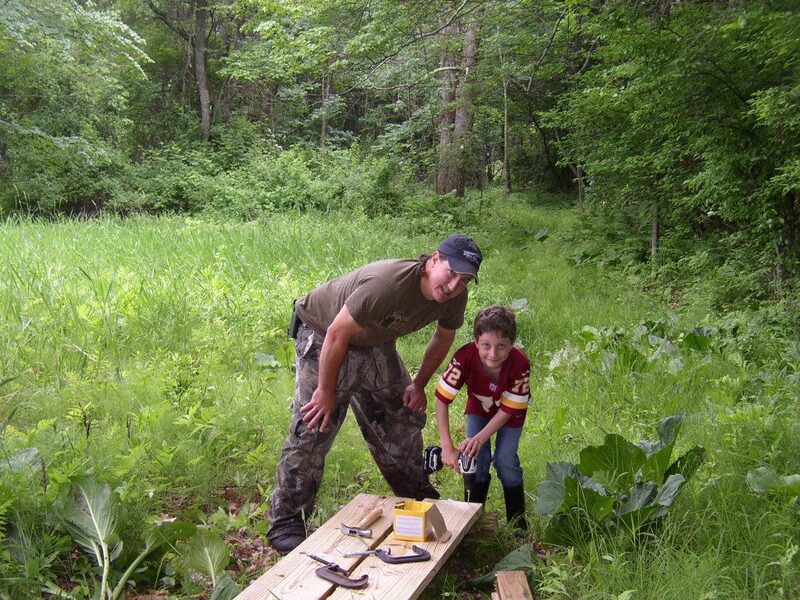 Kids get to learn how to use tools and to construct things. 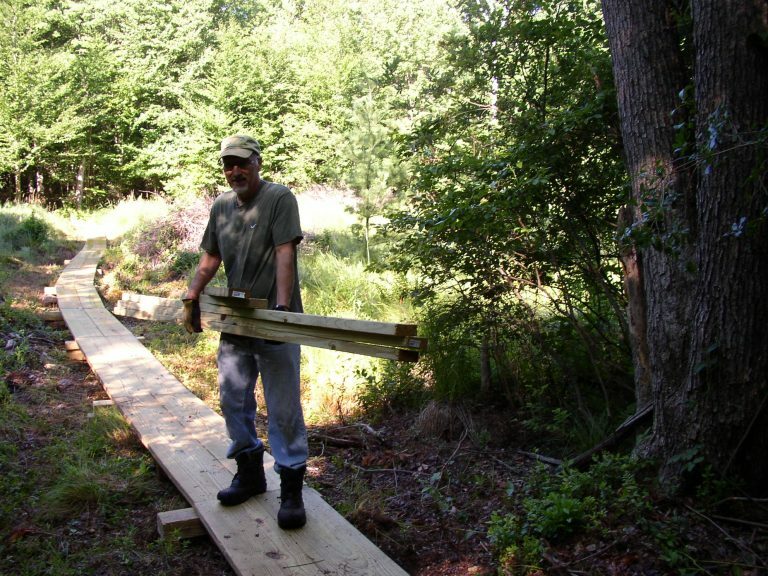 Older kids get to go out and work independently, like sawing off tripping-stumps along new trails. 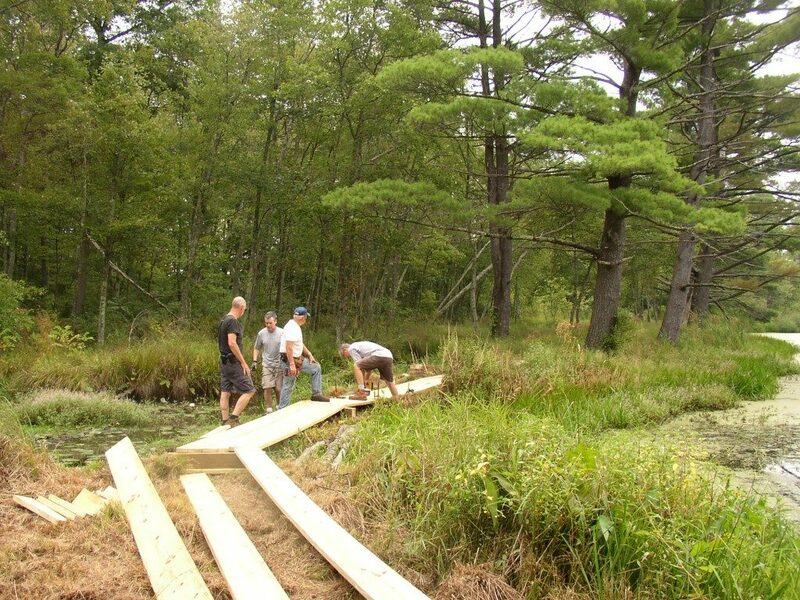 Some kids, who have learned some of their outdoor and constructions skills at land trust work parties, have gone on to become Eagle Scouts, completing important projects on our properties. 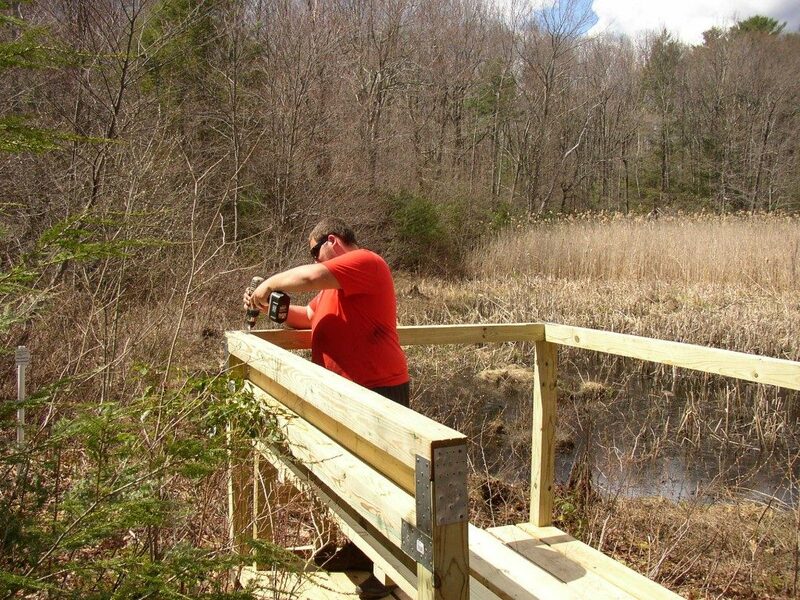 Before any improvements can be made to a property, the trust has to delineate its borders. 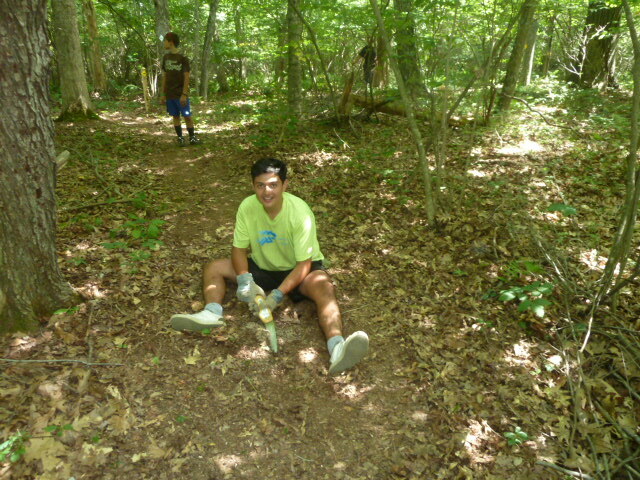 Crews then go out and post boundary markers. 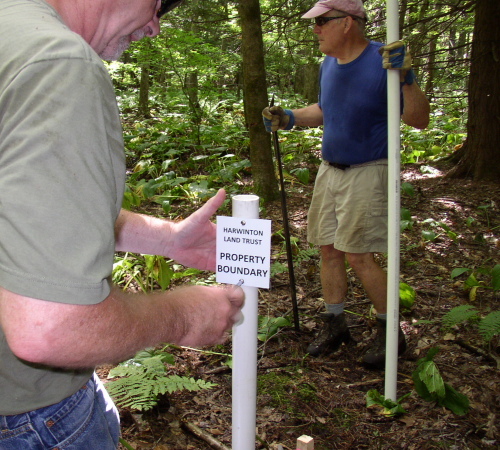 We then install our Land Trust signs so that everyone knows where our properties are located, and that they are welcome to visit. 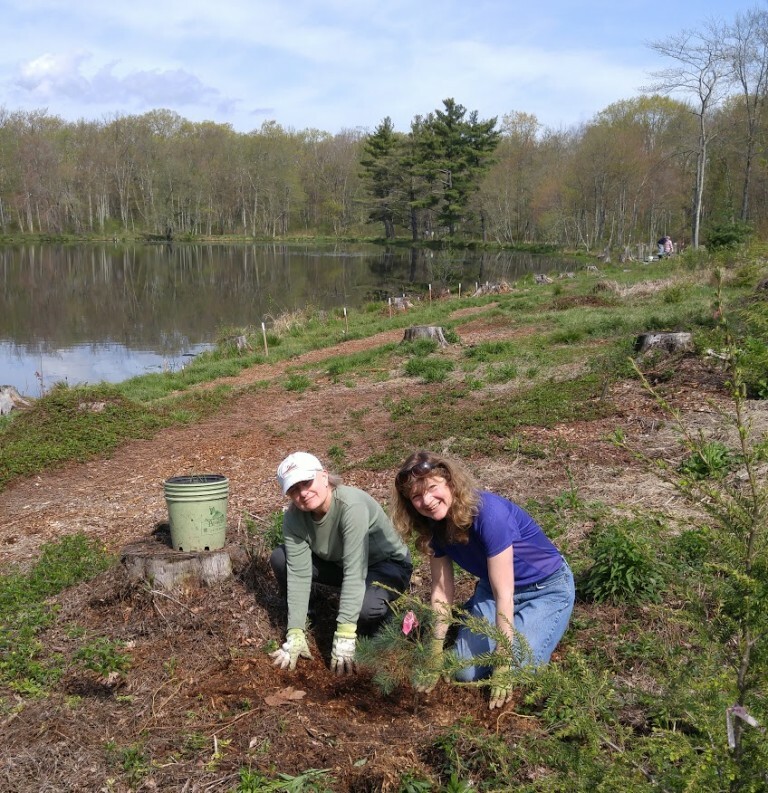 Plantings are done to restore our properties, such as planting seedlings and shrubs within the area of the Bull Pond Preserve that was devastated by a windstorm and was in need of re-vegetation. 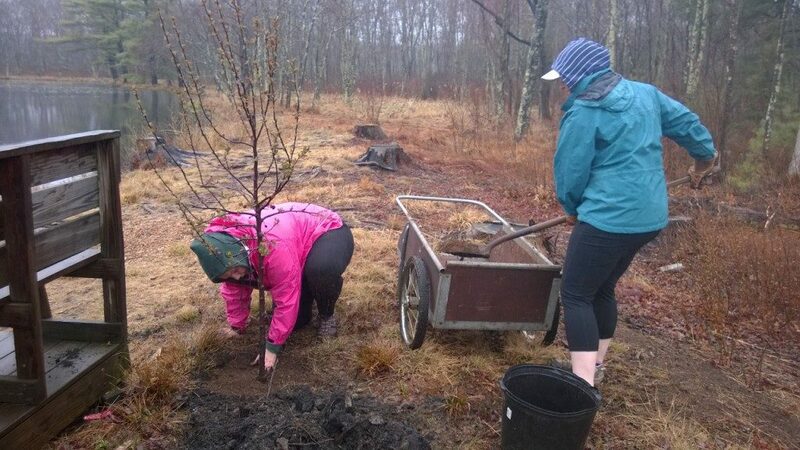 Restoration often requires team work like when large roots from the previously damaged trees had to be removed before new trees could be planted in their place. 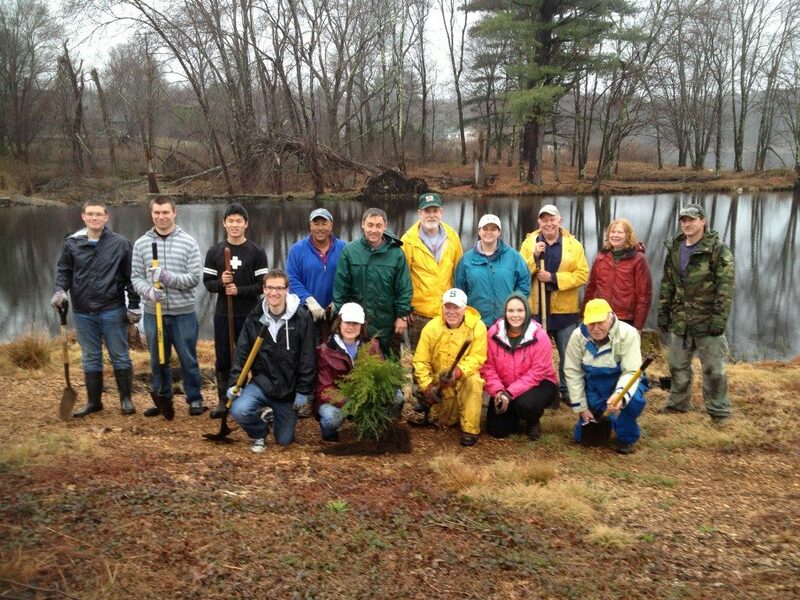 Plantings are done to enhance our areas so that they become more inviting for the public. 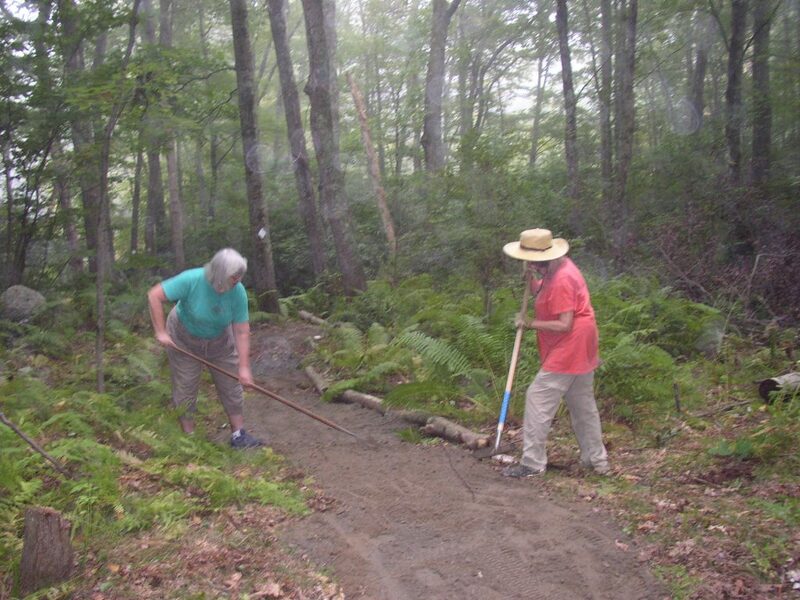 Evergreen seedlings are planted to provide scenic buffers for hikers and to protect the privacy of our neighbors. 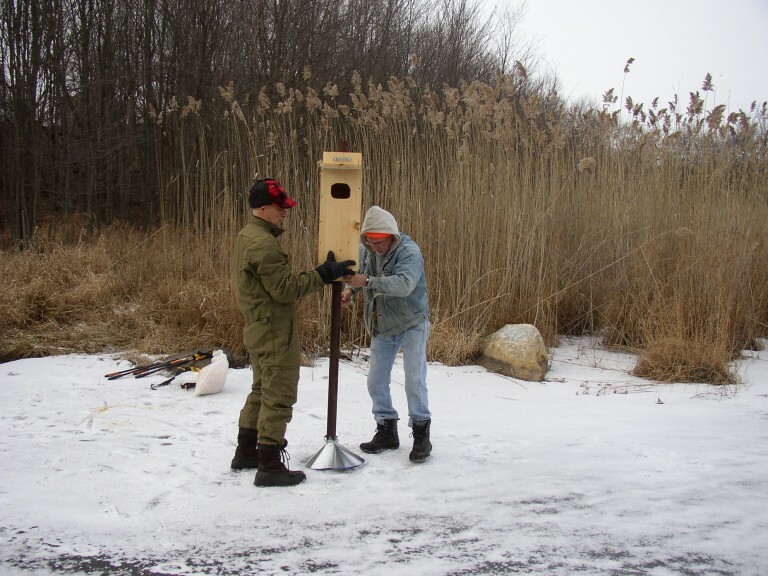 and shouldering sand bags needed to restore marsh water levels. Sound like fun? Well, join up. We’re looking forward to working with you.